The photo above, if you haven’t guessed, is a fake. The girl isn’t actually falling, but rather playing a practical joke on her mother. 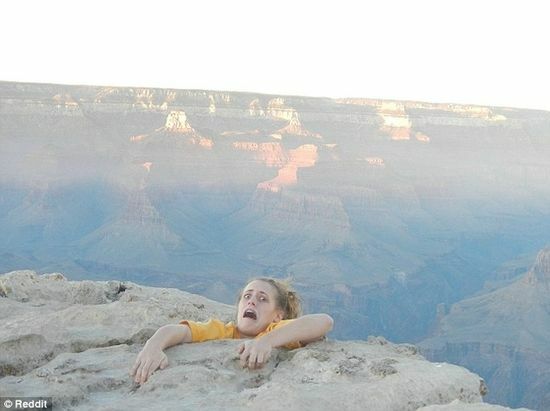 After hearing worries from her mom about visiting the Grand Canyon, this merry prankster sent this photo, which probably caused a near heart attack. Since then, the picture has gone viral and has been the inspiration for many other fake fall photos. You don’t have to pretend to fall into the Grand Canyon to get great views. How about a Grand Canyon helicopter flight? And leave us a comment: have you been to the Grand Canyon? What’s your best memory?